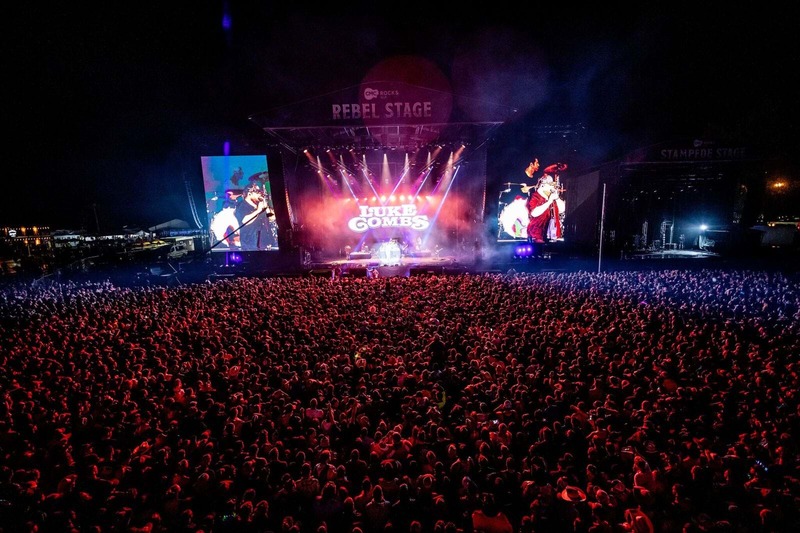 CMC Rocks QLD, the Southern Hemisphere's premiere country and roots music festival, delivered its largest-ever event last weekend. Willowbank played host to 24,000 music lovers daily, between Thursday 14 and Sunday 17 March, featuring stellar performances from 20 international and 8 local artists across a huge four-days. This year’s event completely selling out within 90 minutes, for the third consecutive year, with fans raring to experience their favourite artists live in action. Increased capacity saw an additional 4,000 passionate music fans attend in 2019, up from a daily attendance of 20,000 in 2018. Earlier entry and an extended festival program exclusively for campers ensured that festivities kicked off in fine fashion on Thursday afternoon, with festival first-timers Devin Dawson (USA) and Lindsay Ell (CAN), along with Rocks alumni The Sisterhood Band (USA), wowing audiences at the Jack Daniel’s White Rabbit Saloon. The return of festival favourite the Regatta Boatshed Restaurant, along with brand new Pimm’s Pamper Bar, BBQ Mafia, Carlton Dry House and more, ensured festival goers had plenty of good eating and drinking to accompany the top-notch tunes. “Besides almost being burnt on my bald head by a lightening bolt, I was incredibly excited by the way that everybody – staff and punters alike – handled the ever-changing weather. It was a credit to the team that works on this event”, said Promoter, Michael Chugg. With the support of Ipswich City Council and the Queensland Government, CMC Rocks QLD is confirmed to remain at its current home at Willowbank for at least the next three years, so music lovers can rest assured the event will continue to provide the hottest local and international music stars to Australian music fans for years to come.